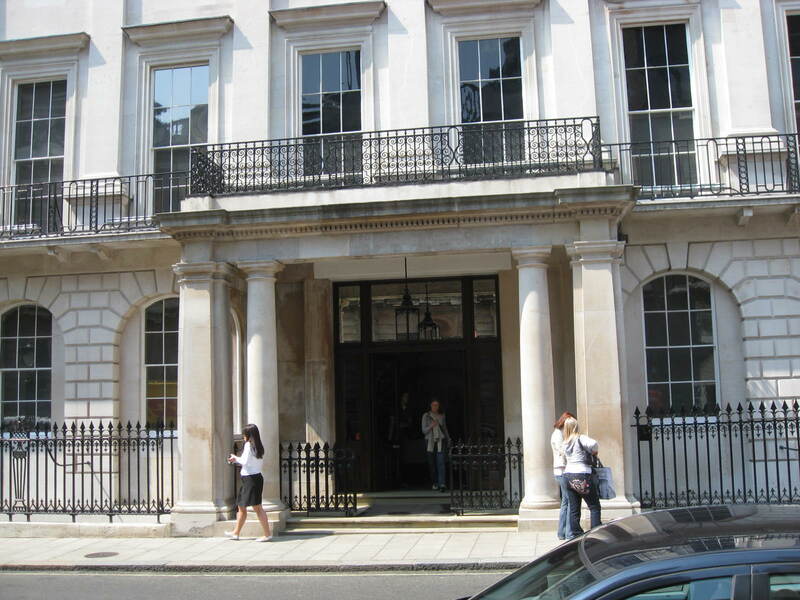 Abercrombie & Fitch is a US fashion retailer with the store in Burlington Gardens its UK flagship store. The shop sells a range of casual clothes for men and women, including polo shirts, cargo pants and jeans. Nice clothes, poor service - I must admit, I do like the clothes in Abercrombie. However, the style and quality of the company's products does not give them the right to mistreat their customers, predominately employing rude staff and forcing customers to queue at the door in many of the Hollister (Abercrombie's "little brother")and Abercrombie stores around the world(although, to be fair, I have never been forced to queue at the London store). Infact, and no offence intended, I feel that the last reviewer's view is typical of the arrogance of Abercrombie's staff. They are not interested in the complaints of customers, and will instead discredit and demean the consumer, going to any length to clear accusations about themselves and make themselves appear competent. Most complaints are met with an indifferent reply, implying that if the customer doesn't like it they should go elsewhere. When a customer threatens to complain to head office staff seem to just say "go on then", probably because they know that complaining to Abercrombie is virtually impossible, with no option to complain on their website and no address to write to, as far as I can see. Abercrombie&Fitch - abercrombie clothing Garment companies have abercrombie and fitch, without exception, abercrombie store the market abercrombie usa segmentation using scientific standards, and accurately grasp the consumer group's individual needs, enterprises are there any advantages to speak of it to know, fashionable clothing will never be faced with saturated markets, not to mention small market, sub-section of only a marketing tool. Clothing enterprises in order to effectively meet the growing consumer group needs renovation, it is necessary for such needs in-depth investigation and a thorough understanding of this garment abercrombie sale is a permanent issue abercrombie & fitch outlet. help!!! - does anyone know where the models of this store are from? or where there is a list of their names, or something? if you know, please please tell me! Question - does anyone know if they have a kids section there? Not as bad as expected - After reading some of the reviews on this site I was expecting a bad experience when visiting A&F in London but I was pleasantly surprised. Having visisted many A&F stores across America I knew what to expect of the A&F shopping experience namely the dark lighting, loud dance music and easy on thr eye good looking staff with not alot between the ears. Usually I would not buy A&F products in this country due to the expensive prices but I was given 3 items for Xmas which were brought in the USA which were to small I had no receipt and no tags. The staff were very helpful and with no questions asked gave me store credit allowing me to exchange the items straight away. disagree! - i totally disagree with every bad thing said about this shop. i went last weekend (a week before christmas) and yes it was packed, and there was a queue to get in, but what do you expect from a popular shop? there is such a thing a health and saftey! when i got in (the queue wasnt that long, only about 10 mins) there was a model there for pictures, this pleased alot of people of cfourse. the shop was very warm, but it was full of people, and there was alot of good looking staff around, but that is what abercrombie and fitch is known for, it has to have its name and be known for something, therefore it is know for its gorgeous staff and models, the staff were extremely polite and helpful, giving us directions to where the items were, and asking us if we were ok. even making jokes, they were very polite people! the shop was dark, but not as dark as i expected, after reading the reviews i thought it was going to be pitch black, it was not at all, there was enough light! Badly Managed - Bad points first.. Too many staff members just standing around. We queued for about 25 minutes for the changing rooms downstairs (there were only 5 or 6) For a shop so busy and so huge I was shocked. I asked one staff member about the underwear sizes and what was the waist size of them, he said is it not on the box to which I replied no, otherwise I wouldn't have bothered you standing there doing nothing. He didn't know and went back to standing there looking hot..
Then we had to queue for the cash registers which was lovely.. We were queuing downstairs for about 20 minutes when we were told to go upstairs because the queue was shorter... Yeah right, we were snaked around the store making it very difficult for anyone to get the the shelves. An hour later we made it into the room where the 2. Yes 2 cash registers were. There were 3 but obviously one of the 20 employees standing around were too busy..
Apart from that. It was really good. The building is so beautiful, I loved the smell of the fragrance and the beautiful people working there! The clothes are great and they had all sizes on display so I don't have to ask anyone anything apart from the size question above. dear god.. - DO NOT BOTHER... am guessing it gets better after the christmas shopping period is done with, but jeez, a 100m queue just to get in.. an employee who was trying his hardest to encourage the queuers to stay told me it was a 45 minute wait to pay for anything once you've got inside. I mean why would you? The clothes are overpriced and bland...even by American standards. Really not good enough as a retail experience frankly! go to their hotel to get our umbrella.Yes it was a good expensive one,but the lack of help was amazing by the staff. ABercrombie & FITch have all the answers. This is a great and unique shopping experience. Great location in the heart of London. A very cool ambience. enticing decor. Spacious. Upbeat music. Friendly staff and lots of help to find what you need. Best of all - the clothes are cool. Go on - because you are worth it! Abercrombie Best Shop In The Wrold - i think they are great they always say do you need help or anything i love the music it is great and the dancers at the top are great and the man at the front of the hop WOW !!!!! Are we in LA? - This place is hilarious! I can’t believe the LA scene has migrated into the A&F store in Mayfair. Semi-naked men in the doorway with chiselled bodies – that was the best part for me – across from a bespoke tailor off Savile Row! Britney meets Stella. The 3rd thing I noticed after the hot boy greeter and the clientele was the clothes: summer clothes and jeans. I didn’t see one sweater or anything warm. So I guess we are in LA except it’s 5 degrees outside. The building itself is gorgeous. They did a really nice job on the inside. In fact, it felt like I was in a dance club but surrounded by clothes: blaring dance music, tall ceilings with different staircases and rooms; a 15 person queue for the fitting rooms; and did I mention the beautiful sales people? They even had mural art that at first glance you think is really old but then you look at it again and it’s all A&F type people with shirts off and skimpy clothes. Funny! I refuse to pay £50 for a t-shirt when I can get the same one in the US for half that, and I’m not their demographic anyway. I don’t wear logos and the only A&F item I would buy is a tank top for yoga but even those were £25. Would you like to submit a review of Abercrombie & Fitch, London? Please add your Abercrombie & Fitch London review and help create a directory of recommended Clothes & Fashion in London. Do you own Abercrombie & Fitch London? If so, claim it now! After claiming a business, you will be able to update the details and add more tags and photos.